By reflecting the BICSs colour scheme, workers and managers can quickly and easily ensure that the right gloves are being used in the right environments to prevent bacterial transfer. 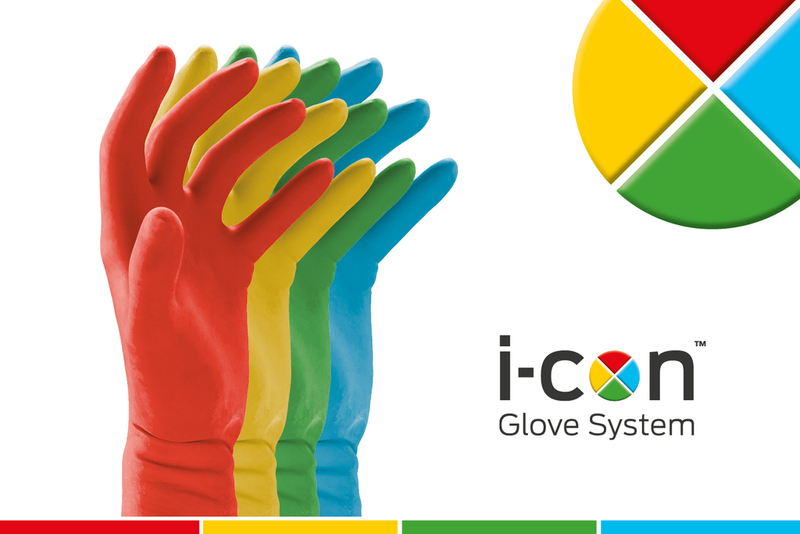 And unlike commonly used gloves made from vinyl or latex that do not necessarily meet the required levels of performance required under EN legislation, all gloves within the I-CON system are manufactured exclusively from nitrile. This means workers’ hands are protected against the most common chemicals and substances found in contract cleaning in addition to preventing contact contamination from bacteria, viruses, pathogens, and vaccines that may be encountered. There are eight I-CON system nitrile gloves – four single-use, four re-usable – with every glove CAT III certified in accordance with the EN374-1 chemical resistance standard. They are also Food Safe approved.